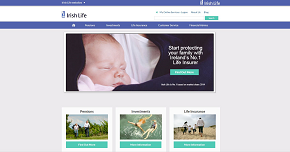 This policy sets out how Irish Life Assurance (ILA) use your personal information that you provide when interacting with this website. Cookies are small text files that are transferred to your computer's hard drive or your mobile device through your web browser to enable us to recognise your browser and help us to track visitors to our site; thus enabling us to understand better the products and services that will be most suitable to you. A cookie contains a unique id to allow us to identify your device when you interact with our site. Most Web browsers automatically accept cookies, but, if you wish, you can set your browser to prevent it from accepting cookies. The "help" portion of the toolbar on most browsers will tell you how to prevent your browser from accepting new cookies, how to have the browser notify you when you receive a new cookie, or how to disable cookies altogether. The cookies we use do not detect any information stored on your device. Throughout this website you may have an opportunity to send us information relating to you such as through the "contact us" pages or any other area where you may send e-mails, request brochures, enter contests or respond to any promotions. By choosing to participate in these, you will be providing us with some level of personal information relating to you. This information will only be used by Irish Life for the purposes for which it was provided by you, for verification purposes and for statistical analysis. We take great care to ensure the security of this site. 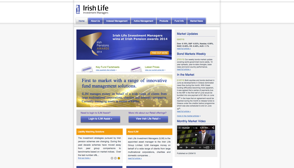 The IRISH LIFE Network is protected by a firewall system, which forms a barrier between the outside Internet and the internal network. 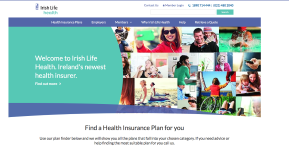 The purpose of a firewall is to ensure only authorised traffic is allowed to pass to IRISH LIFE systems and networks - all other traffic from the Internet is rejected. The firewall verifies the source and destination of each network packet, and determines whether or not to let the packet through. Access is denied if the packet is not directed at a specific, available service. The firewall is used to shield the IRISH LIFE internal network from the Internet. The security system includes the use of a secure browser to access information and performs transactions. It allows for the transfer of digitally signed certificates for authentication procedures and provides message integrity, so that information cannot be tampered with in transit. Microsoft Internet Explorer, Mozilla Firefox, Google Chrome and Apple Safari are all secure browsers. The data you provide to us through a secure browser is protected using SSL (Secure Socket Layer) technology. SSL is the industry standard method of encrypting personal information and credit card details so that they can be securely transferred over the Internet. Our Website Use Policy may change from time to time and any changes to the statement will be posted on this page.